We are proud to join forces with the honourable Russian Arctic Convoy Museum Project in remembrance of all brave women and men on all sides who fought during a period of conflict. 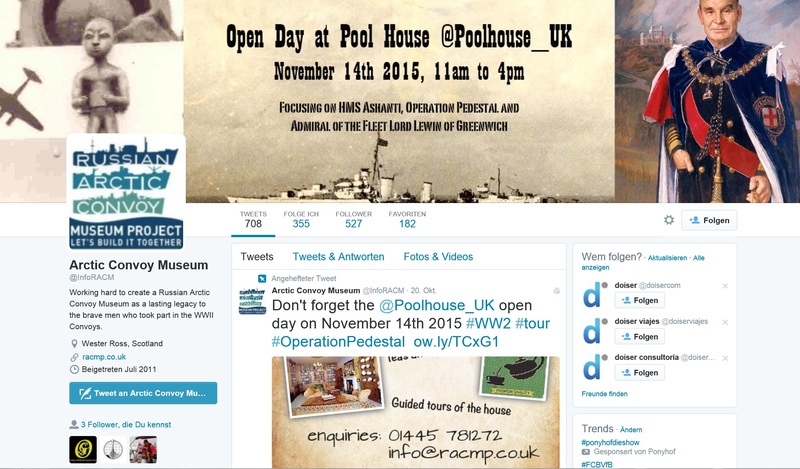 We recommend to visit the website for the planned Russian Arctic Convoy Museum. The importance of highlighting the legacy of the WWII Russian Arctic Convoys is central to the project. It is to the memory of all of these brave men who sailed on the convoys, and the many (over three thousand men) who lost their lives, that the local communities around Loch Ewe in the North West Highlands of Scotland are planning a Museum.